In the Reed lab, Marina worked onthe human head louse, using molecular data to infer the evolutionary history of lice and also of their human hosts. To analyze a large number of louse genetic markers, she developed a set of multiplex-microsatellite assays. Thanks to a large international collaborative effort we collected more than 1,000 lice worldwide for genotyping. Julie was interested in understanding how animals have evolved over time. In particular, animals that must rely on other organisms like parasites and mutualists. She looked at deeper evolutionary relationships between the parasites and compared those with the evolutionary relationships of their hosts, looking at how the two coevolved. She was also interested in population level interactions; for example, how these parasites move from host to host and how the behavior of a host affects the parasite. After a post-doc with the Illinois Natural History Survey, Julie has returned to UF as a post-doc in Rob Guralnick’s lab here at the Florida Museum of Natural History. 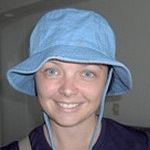 Jessica’s research interests include phylogenetics and population genetics of mammals and parasites. 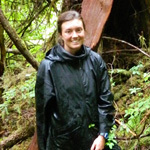 She is particularly interested in investigating cospeciation between mammals and their parasites to determine which factors are important in driving the association between these distantly related taxa. 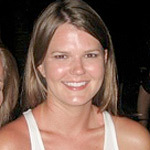 She is now an Associate Professor at Texas A&M University. 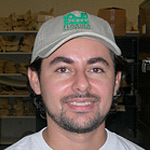 Jorge’s research focused on the singing mice of Mexico and Central America. 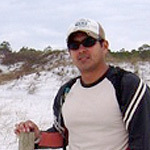 He examined the phylogeography of the genus (Scotinomys) and investigated patterns of gene flow. He used a combination of molecular markers and GIS modeling to better understand how genes are moving between populations over this complex landscape. Bret was interested in applying genomic data to understand how lice capture and retain new bacterial symbionts. He investigated the possibility that horizontal gene transfer may facilitate symbiont replacement in lice. This research focused on a small bacterial chromosome that encodes for de novo synthesis of pantothenate found in human lice. Pantothenate is considered to be an essential product that the symbiont produces for the louse and acquisition of the plasmid might facilitate symbiont replacement. He also developed methods to sequence and assemble whole genomes of louse symbionts. He investigated whole genomes from nine different louse symbionts and compared them to one another. 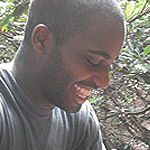 Bret is currently a post-doc at the Illinois Natural History Survey, University of Illinois, Champaign-Urbana. 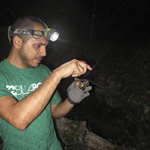 Angelo used distribution models, fossils, and genetics to study how climate change affects populations of bats on Caribbean Islands. 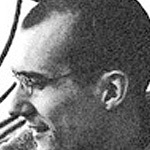 He analyzed DNA under a coalescent framework (i.e. projected towards the past) to understand island bat population sizes, movement of bats among islands, etc., over time. Also, he used current and fossil-validated population distribution models to understand the changes that may have occurred in populations and their available habitat as climate changed. The combined use of DNA, coalescent methods, distribution models, and fossils is very powerful and allows him to learn about the evolutionary processes that shaped island bat populations and how bats reacted to climate change in the past, which is very important to have an understanding of what happens to these bats today and to be able to predict what may happen to them in the future. 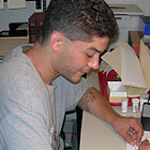 Angelo is currently a post-doc at the American Museum of Natural History. 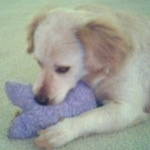 Julie was interested in understanding how animals have evolved over time. In particular, animals that must rely on other organisms like parasites and mutualists. She looked at deeper evolutionary relationships between the parasites and compared those with the evolutionary relationships of their hosts, looking at how the two coevolved. She was also interested in population level interactions; for example, how these parasites move from host to host and how the behavior of a host affects the parasite. 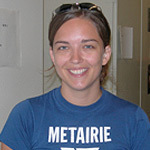 Melissa studied host/parasite co-demography and co-evolution in my lab. She has two manuscripts that she’s working up now on the microsats that she developed for human lice, and a manuscript using clothing lice to explore hypotheses of clothing use in early hominids. 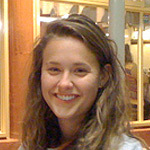 She is now a PhD student in Matt Hahn’s lab at Indiana. Catalina studied the genetic change in two populations of Florida Mice (Podomys floridanus) separated in time by 50 years. She genotyped microsatellite loci from populations in the 1950s, 1980s, and 2000s, thanks to collections in the Florida Museum of Natural History. This effectively lets us go back in time to examine the population genetics of historical populations, and look at how those populations have changed over the last 50 years. This is especially important when land-use changes have been dramatic as they have been during the last 50 years in the state of Florida. 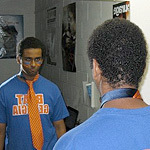 Gebreyes studied the genetics of human parasites and symbiotic bacteria that live within them. Most of his work involved lots and lots of PCR looking for signs of certain bacteria such as Wolbachia. 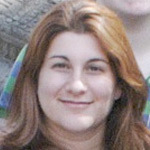 For herhonor’s thesis, Melina studied the cave microbiota (bacteria and fungi) of different caves in the Bahamas. 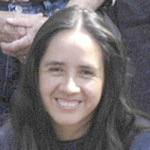 Under the mentorship of Angelo Soto-Centeno, she did a general inventory of the different bacterial and fungal species found in relatively undisturbed (low human/bat contact) and disturbed caves (high human/bat contact) to determine the potential pathogens to which bats and humans may become in contact with. Additionally, she sampled different species of bats to assess their potential as carriers of cave bacteria and/or fungi that may further be passed on from one roost to another. 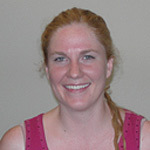 Kristin worked on virtually every project in the lab during her tenure here. 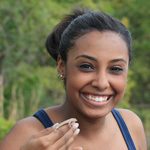 Among other projects, she led a research project looking at measures of gene flow among island populations of a common Caribbean bat (Mexican free-tailed bat, Tadarida brasiliensis). Jackie worked on a project involving the evolution of human lice and how that might relate to the evolution of humans, investigating two deeply divergent lineages of lice that both occur on living humans and trying to learn whether these lice were geographically clustered around the world. Ty studied brocket deer in Panama with Jorge Pino in association with UF’s PCP PIRE program, an NSF-funded program to promote international research. Katie worked on a University Scholars project to determine the genetic structure of parasite populations of a species of sucking louse (Pedicinus badii) that parasitizes Red Colobus monkeys in Uganda. Daphna’s project was in conjunction with Dr. Robinson from the Ordway Lab and Dr. Reed from the Molecular Mammalogy Lab. Her goal was to determine if high territory density and inbreeding avoidance contributed to the presence of EPP in a Mockingbird (Mimus polyglottos) population present on the UF campus. Funding for my project was made possible through the University Scholars Program and the Wilson Ornithological Society. Chelsey’s research used specimens of Key Largo Woodrats (Neotoma floridana smalli) in the Mammal Collection that were collected in the 1950s and compared them to recent populations using microsatellite DNA. 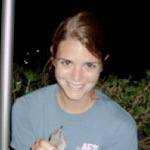 Karen worked on gene flow between isolated populations of Key Largo woodrats using specimens in the mammal collection. Kyle’s primary project in the mammal range focused on processing Florida Panthers (Puma concolor coryi) we received from FWC for placement into the collection. His other projects included curating various taxa, preparing study skins, and cleaning specimens. 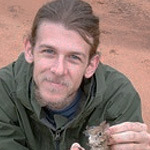 Kyle is currently a research assistant on the Kalahari Meerkat project in South Africa. 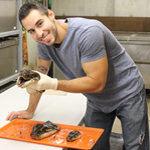 Sergio worked on a number of undergraduate research projects associated with his University Scholars Award. 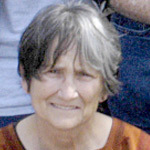 Her research investigated the Southeastern Pocket Gopher, which is a species that was instrumental in starting the field of phylogeography (Avise, 1979). This species occurs in two forms that have a large genetic break at the Apalachicola and Flint Rivers. We used mtDNA collected from museum skins to examine this species throughout its range, including isolated populations that are now completely extirpated and exist only in the Mammal Collection. In addition, she used niche modeling to determine whether the two genetic lineages have distinctly different fundamental niches. 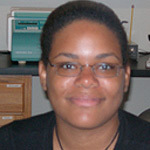 She was recently awarded an NSF Predoctoral Fellowship and is in the Ph.D. program at FSU in the Moriarty Lemmon Lab. 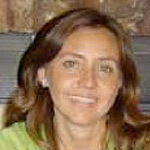 Judit worked on several projects with Julie Allen. 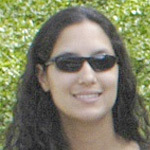 She was awarded an NSF Predoctoral Fellowship for her research, and recently completed her PhD in Scott Robinson’s lab at UF. 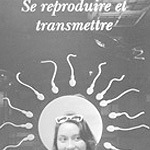 Read more about Judit’s research here. Tamar worked on a number of project in our lab as an undergraduate, and present her research at the SMBE meetings in Barcelona, Spain in 2008. She was recently awarded an NSF Predoctoral Fellowship, and is now enrolled in the Genetics Graduate Program at UF studying molecular anthropology with Connie Mulligan. 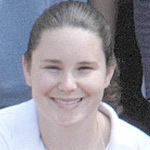 Lauren was an undergraduate working on numerous projects in the molecular lab. 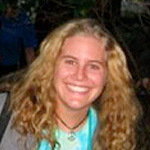 She is now a graduate student in wetlands here at UF. Kier worked in the mammal collections for many years as both a volunteer and as a paid curatorial assistant. Kier recently graduated with a M.S. in Biology from the Dept. of Biology at Valdosta State University. 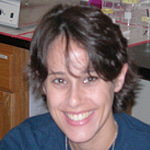 Emer helped get the lab up and running when I first moved to Gainesville. She learned how to do DNA extractions, PCR, and cloning within a semester and was instrumental in getting the first bits of data in the new lab. Last I heard she was in Raleigh. Ariel visited from Argentina, where he worked in the laboratory of María Inés Piccolo studying insecticide resistance in head lice. He learned new molecular skills in our lab, and we collaborated with Ariel and Maria to determine what constitutes a “population” of head lice in Buenos Aires. While visiting from Panama, Mary some new molecular skills in the lab, such as DNA extraction, PCR, and DNA sequencing. 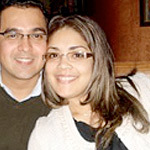 She helped Jorge Pino with some of his work on singing mice. 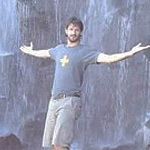 Greg was a programmer for the NSF-funded BioCorder project. 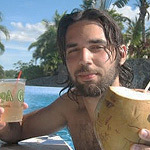 Simon was a programmer for the NSF-funded BioCorder project. He is now working with Vincent Smith at the British Natural History Museum on the Sketchpad project. 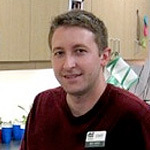 Matt was the lead programmer and project manager for the NSF-funded BioCorder project. BioCorder serves a few functions. 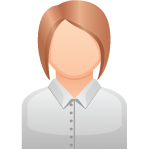 It acts as a Lab Information Management System (LIMS) for work done in the molecular lab, but it also helps specimen-based biologists by linking work done in the molecular lab back to the original specimens collected. BioCorder also serves to foster collaboration among geographically distant labs by allowing collaborators to have real-time access to the same data. 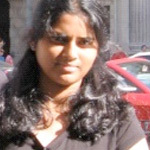 Nithya was a programmer for the BioCorder project, and a graduate student from the CISE Dept. 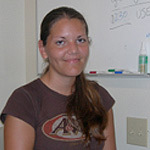 Olga worked for us during her time as a PhD student in UF’s Dept. of Wildlife Ecology and Conservation. 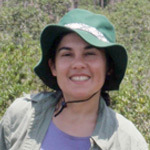 She helped acquire latitude/longitude coordinates for the mammal collection, and is now a professor in her home country of Colombia. Sonia worked for us during her PhD program in the Dept. of Wildlife Ecology and Conservation. She helped to calculate latitude/longitude coordinates for the mammal collection. 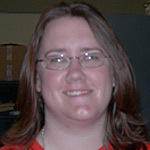 Laurie is a former collections manager and researcher in the collections. She has studied our extensive collection of Florida Panthers to evaluate diet and health in this highly inbred and dwindling population. Among other areas, her research investigated the all-too common bone abnormalities that afflict these large cats. Pedro recently finished his M.S. at Oxford studying neotropical primatology and is currently working on his Ph.D. there. 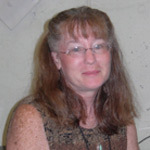 Candace was responsible for the day-to-day operation of the Mammal Collection until her retirement in June 2014. Jennifer worked in the dermestid beetle colony lab from 2016-2017 while an undergraduate. Josh worked in the dermestid beetle colony lab from 2014-2018 before continuing to graduate school here at UF. 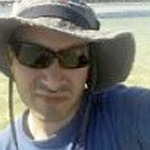 Roberto was a former preparator in the dermestid beetle lab until 2014.